Will the Philadelphia Eagles find a trade partner for quarterback Nick Foles? The clock begins ticking Tuesday, when the NFL's window for putting franchise tags on players opens. The franchise tag is a labor designation that restricts a player's potential movement in exchange for a high one-year salary. Each team can put the franchise tag on one pending free agent, a decision that is expensive but also provides massive leverage against losing a player, ensuring the team a hefty return if that player ultimately departs. Teams have until March 5 (at 4 p.m. ET) to put franchise tags on their most valuable players. The expected salary for quarterbacks with the franchise designation in 2019 is $25 million. The Eagles' trade options hinge on the franchise designation -- they can't carry Foles on the books at that number as a backup to Carson Wentz. But if there is competition among quarterback-needy teams who wish to sign Foles, the Eagles can put the tag on him and then make a trade. Pro Bowl defenders Jadeveon Clowney and C.J. Mosley are among the other players who are candidates to be tagged this offseason. The Falcons keep saying that signing Jarrett to a long-term extension is a top priority, but it hasn't happened just yet. Talks were tabled during the season but should be in full swing now after the team cleared more than $15 million in cap space following the releases of CB Robert Alford, K Matt Bryant and DE Brooks Reed. If the sides don't come to an agreement, tagging Jarrett at a price of around $15.5 million for 2019 could be an option, although the Falcons haven't used the tag freely over the years. New Ravens general manager Eric DeCosta wouldn't deny that the tag is in play for Mosley. It's just not very practical. Using the projected $15 million tag on Mosley would eat up more than half of Baltimore's available cap space. Mosley is the leading tackler for the NFL's top-ranked defense and he's one of the core leaders on the team. But there could be debate whether Mosley deserves to be the highest-paid middle linebacker in the game. Asked if the Ravens would consider the tag for Mosley, DeCosta said, "I think everything is on the table right now. I certainly hope that C.J. is back. I believe in my heart that he will be." The Cowboys want to avoid putting the tag on Lawrence for a second year. He made $17.1 million in 2018 on the tag and would make $20.5 million in 2019. The Cowboys wanted to see if Lawrence could repeat his production from 2017 and he did, putting up 10.5 sacks with 39 quarterback pressures and earning a second Pro Bowl nod. A year ago, there seemed to be little hope a long-term deal could be done. This year, there seems be a little more optimism, even with a tight window to negotiate. If the Cowboys use the tag on Lawrence again, they run the risk of him not showing for the offseason program, minicamp, training camp and potentially regular-season games. To be determined is whether he'll be tagged as a defensive end or a linebacker, and the difference is roughly $1 million. 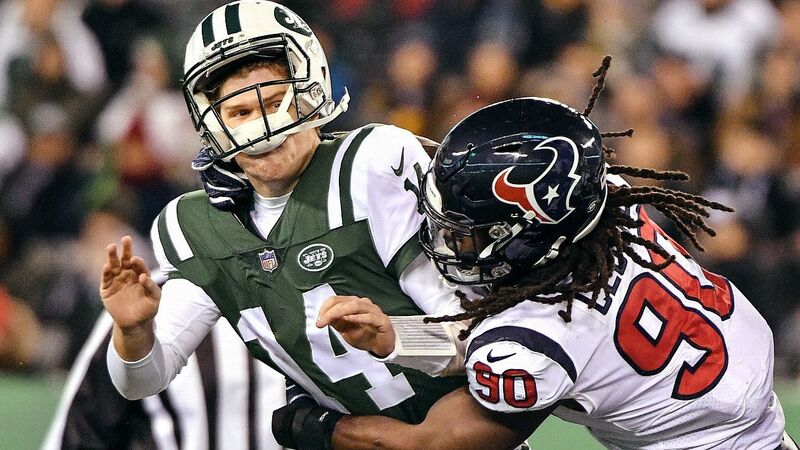 Clowney has 18.5 sacks the past two seasons and has missed only one game in that span after missing 17 in his first three seasons. He has become a major disruptor and the Texans would love to keep him paired with a healthy J.J. Watt. Clowney stepped up as the Texans' top pass-rusher when Watt missed 11 games in 2017. The Texans have roughly $64 million in cap space so it won't be a strain to tag him, which would give them extra time to work out a long-term deal. The Chiefs appear motivated to retain Ford, whether that's on a long-term contract or as the franchise player. Ford would cost about $15 million on the franchise tag. He indicated during the season that he would sign the tender if he's tagged, calling that decision a "no-brainer.'' It would be a shame for the Chiefs to watch Ford play for another team after he finally fulfilled the promise that led them to draft him in the first round in 2014. "When we drafted Dee a few years ago, all those things that we envisioned for him, he kind of showed that he was that player. ... We are excited about bringing him back," general manager Brett Veach said. The Rams have made a habit in recent years of using the franchise tag, most recently on safety Lamarcus Joyner and previously on cornerback Trumaine Johnson (in back-to-back seasons). But this season, the tag could be used on Fowler. The Rams traded for Fowler at midseason as a short-term rental and the former first-round pick provided a needed presence from the edge. If the Rams tag Fowler, it probably would be at the cost of a defensive end, which would amount to more than $17 million. That's a steep price tag on a roster that's also in need of a defensive tackle and potentially a safety. In 10 games with the Rams last season, including the playoffs, Fowler had 3.5 sacks and a forced fumble. The Vikings knew they'd face a tough decision with Barr when they opted not to extend the former first-rounder last offseason, which then put him in the position to play out his fifth-year option. Minnesota has to decide whether it wants to spend the estimated $15 million on a franchise tag to keep Barr around -- or possibly plan to trade him soon after. Barr smoothed out an up-and-down season toward the end of 2018, recording the first multiple sack game of his NFL career and generating 23 total quarterback pressures on 94 rushes, according to Pro Football Focus. While he has said he wanted to return to Minnesota, Barr expressed a desire to keep all of his options open if he hits free agency. "I know my worth and I know what I got to do I've got to do it for me," Barr said at the Pro Bowl. Though Barr has been an integral part of Mike Zimmer's defense since he was drafted in 2014, for a team up against the salary cap, spending that amount to retain Barr doesn't seem realistic when there are other more pressing needs as well as the likelihood that the Vikings will be able to find his replacement in the draft or elsewhere. The Patriots could strike an extension with Gostkowski before free agency, but if they don't, assigning him the franchise tag would help them maintain some leverage to keep him in the fold in 2019. While the tag of about $5 million is richer than the club would project to pay on an annual basis as part of a multiyear deal, it could be a placeholder until the sides hammer out a longer pact. Some might ask, "Why not DE Trey Flowers or OT Trent Brown?" The thinking is that their franchise-tag numbers would be too high for the team's liking. The Giants aren't in any position to allow 25-year-old defensive playmakers to walk. Collins wants to stay and get paid top safety money. But given the unpredictability of the safety market the past few years and his position (strong safety), it's going to be hard to find a middle ground that suits both parties. The Eagles are hoping to get some value in return via tag and trade as they move on from the former Super Bowl MVP. With the franchise number for quarterbacks expected to be around $25 million, Philly needs to have a trade partner lined up before going down this road. If a trade doesn't materialize, the Eagles can let Foles walk and settle for a compensatory pick in 2020. Designating Bell the franchise player for the third straight year is unlikely. Bell's yearlong holdout broke goodwill with the team, and with many around the league believing his third tag is worth $20-plus million, Bell's holdout notwithstanding, the Steelers either wouldn't want to pay that or wouldn't allocate the cap space to keep the tag in place. The transition tag is more tenable, especially if the Steelers can prove it's worth around $9.5 million instead of $14.5 million because of Bell's absence in 2018. But Bell can't be traded unless he signs the tag or the Steelers utilize an offer sheet for a convoluted sign-and-trade plan, which is risky if other teams aren't interested in the offer sheet's numbers. Plus, the NFLPA would argue such a move violates the spirit of the tag and the collective bargaining agreement. Gould has been the most accurate kicker in the league in his two seasons in San Francisco, converting 96 percent of his 75 field goal attempts. That kind of production makes him a valuable commodity in a league where kickers seem to miss clutch kicks on a regular basis. The franchise-tag number for kickers in 2019 is expected to come in somewhere around $5 million, a number the Niners can easily absorb, given they should have between $60 million and $70 million in cap space. Ideally, the 49ers would like to sign Gould to an extension before free agency, and the sides have had talks toward that, but it's hard to imagine a scenario in which they'd just let him walk with no better option clearly available. The franchise tag has seemed likely since Clark's agent told ESPN.com in October that his client is willing to wait for a deal that makes him one of the NFL's highest-paid pass-rushers, even if it means playing on a tag first. "We plan on Frank being with us," coach Pete Carroll said at the end of the season, seemingly an indication that the Seahawks will tag Clark if they have to. Clark turns 26 in June. He's coming off his best season and his 32 sacks since 2016 are ninth most in that span, so it's nearly impossible to imagine the Seahawks letting him get to free agency. With well over $50 million in projected 2019 cap space, the Seahawks can easily absorb the $17 million to $18 million cap charge that would come with the tag. Smith will be back with the Bucs in 2019. The question is whether it's under the franchise tag or a long-term deal. He has started 64 consecutive games, tied for second most of any left tackle in the league behind Jake Matthews. That would make Smith the top left tackle in the free-agent market. Yes, he has shined at times, but he has also had some issues with consistency. Still, at just 25 years old, the Bucs believe he has not reached his ceiling and his greatest asset is his durability. Is Foles worth a third-round pick? 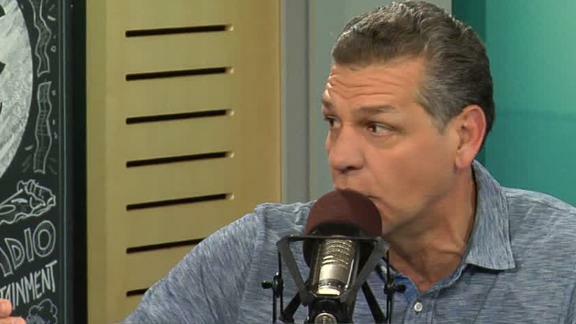 Mike Golic Sr. says it is not a lock that Nick Foles would be successful on a new team.